This peak is not in the book. 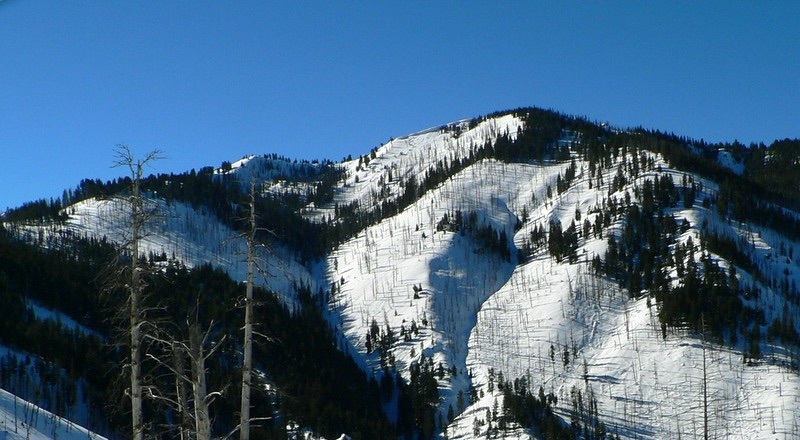 This Jackson Peak, one of two Boise Mountains summits with this name, is located in the northeastern corner of the range. 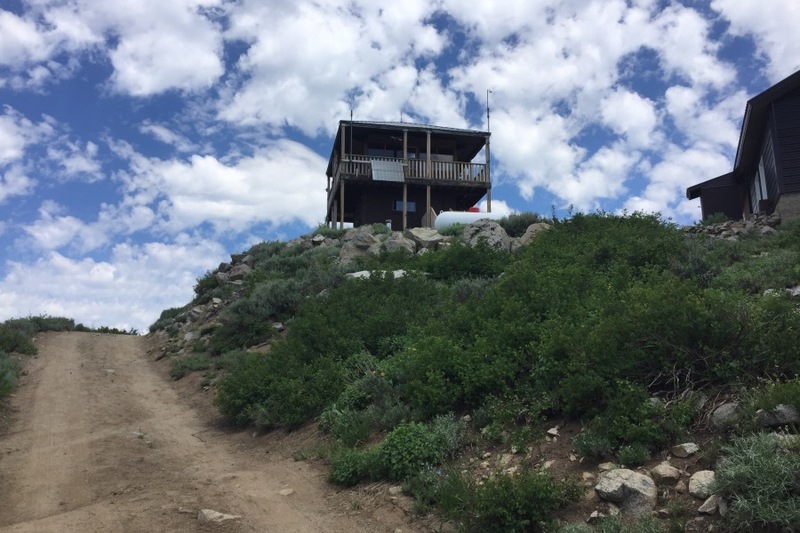 (Check out the other Jackson Peak) It’s summit holds the biggest fire lookout set ups in Idaho that I’ve observed. 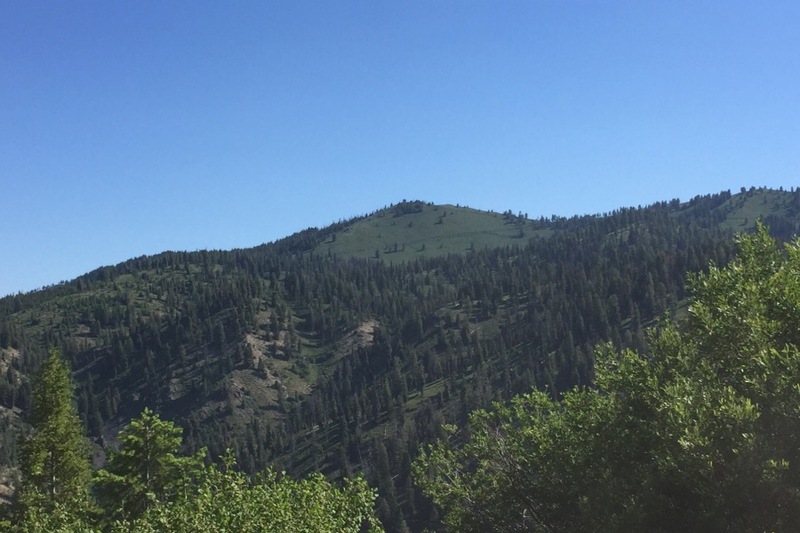 Road access is open to the public to within 0.2 miles of the summit. The view from the top is as big as a view can be and well worth the effort of getting to the summit. I seldom included peaks in the book that had roads to the top. 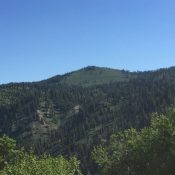 With advent of mountain biking and mellowing a bit in my old age, I started to visit roaded summits by I riding my mountain bike to the top of these peaks. These peaks, after all, do offer enjoyable mountain experiences. In addition to the large lookout, there is a large garage like structure on the summit. The lookout was staffed in 2016. 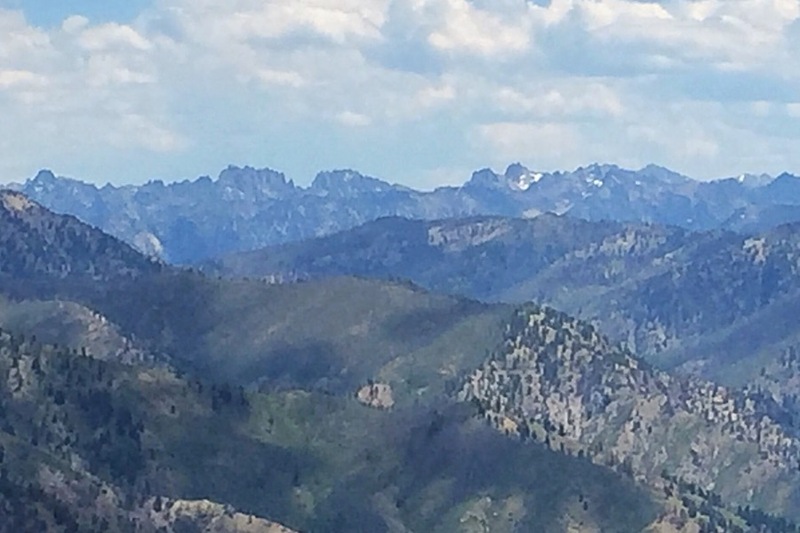 The view from the summit to toward the Sawtooths. 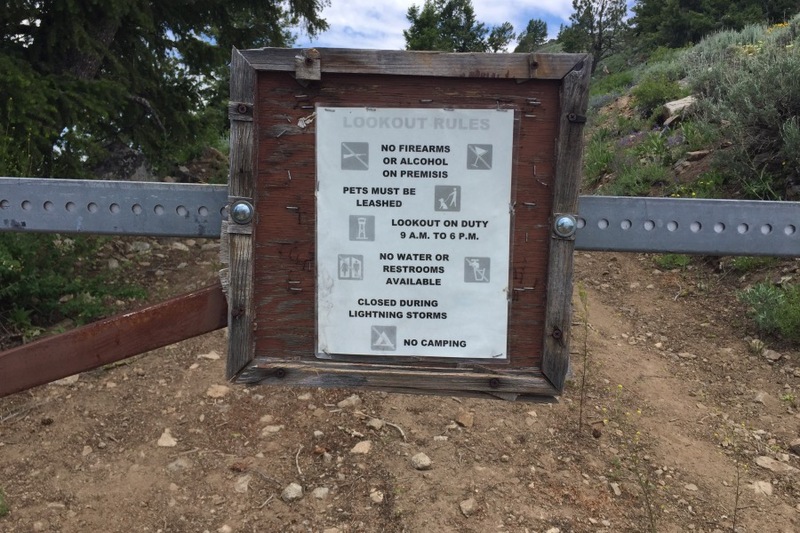 The rules for visiting the top are found on this sign. 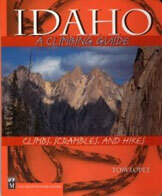 If you are so inclined, along, hot trail also leads from the South Fork Payette River and ID-21 to the summit. Additionally, see the link below for Dan Robbins’ trip report for the details of a winter ascent.